Please find below the latest news from FEIF, the International Federation of Icelandic Horse Associations. FEIF is bringing people together in their passion for the Icelandic horse. More information can be found on our website: www.feif.org . This year’s FEIF virtual ‘Ride to Reykjavík’ has reached the final home stretch. Having started off in August 2018, around 70 riders added up all ridden km to cover the distance from wherever home is to Landmót 2018 in Reykjavík. The first team Toon (town) Army from southern Scotland has just ‘arrived’, others are nearly there – follow the link for more info. All participating riders, please note that with the new data protection legislation you need to give your consent for us to keep your name, contact details and distance from home to the destination of this ride, and the next one, ‘Back to Berlin’ 2019. The new returns form for your ridden km May 2018 will make sure you will remain in the communications loop. Happy tölting! One of the largest events of the ‘International Iceland horse family’ in 2018 will be Landsmót in Reykjavik. The first Landsmót was held at the Thingvellir National Park in 1950, and has since then grown into the full bi-annual country festival that it is today. The Landsmót area is transformed into a village featuring a large camp site, markets with a variety of goods, children’s playgrounds, a line-up of Icelandic entertainers performing during the week, and a number of Icelandic food vendor offering a wide variety of culinary choices. The event is a week long, acquiring over 100 volunteers. Working at Landsmót is a great way to meet other people who share your enthusiasm over horses, so if you would like to be on board, follow the link to the official Landsmót website for more information. 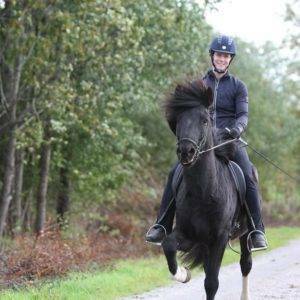 The Nordic Championships for Icelandic horses will be held on August 7-12, 2018 at the beautiful competition grounds of Margaretehof in the south of Sweden, just outside the city of Kristianstad. Riders and horses from all the Nordic countries will meet and compete for the medals in a high class sport event and Gaedingakeppni competitions. 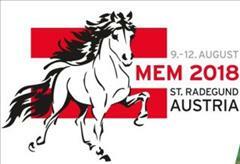 From August 9-12, 2018 the Mid European Championships will take place in St. Radegund, Austria at the competition grounds of Islandpferde Reithof Piber. The preparations for this high class sport event for individual riders and national teams are in full swing and the anticipation for the event is great! 11-Jun – 15-Jun Iceland Vorsýning Hólum í Hjaltadal -seinni vika. You receive this newsletter because you are a member of a FEIF Committee, licensed judge or trainer, participant in a FEIF activity or member of the board of a member association of FEIF. You can unsubscribe from receiving this newsletter at any time by contacting the FEIF Office at office@feif.org . This message was sent to you by an automated procedure using the FEIF mailing list. Go to www.feif.org/news to add other people to this free mailing list. The most up to date version (with daily updates) of the FEIF WorldRanking is always available on Internet: www.feif.org . Addresses of member associations, board, committees, licensed judges and trainers and other officials can be found at www.feif.org/contacts . News, recent documents and events are also available as news feeds (RSS), ready to be added to your own website. Read more about it at www.feif.org/rss .